Forecasters had an inauspicious beginning, dabbling with divination, sheep’s livers and vapour-ridden caves in the mountains of Greece. Then there was a time when forecasters could be charged with vagrancy! Their reputations are still tarnished, but their tools are rather more effective. 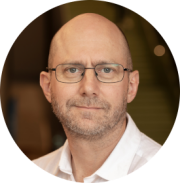 Professor Rob Hyndman will argue for the importance of statistical modelling in forecasting, and demonstrate the dangers that occur when uncertainty is ignored. In particular, he will consider the importance of prediction intervals in providing forecasts, and the dangers of “what-if” scenario projections that are popular in business and government. He will also show that several popular data mining methods ignore uncertainty leading to unrealistic expectations. Finally, he will provide a forecast of the future of statistics.